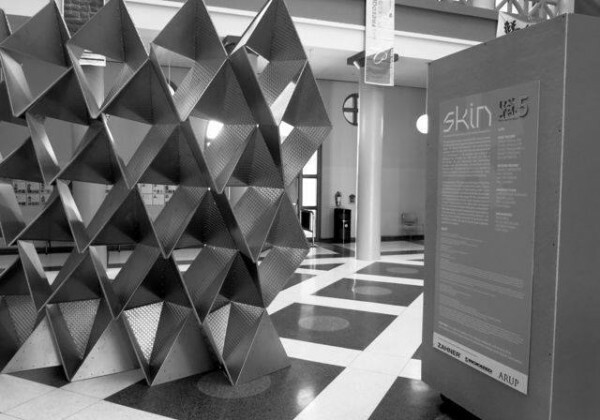 This exhibition comprises the work produced by the winner and finalists of the TEX-FAB SKIN Competition. 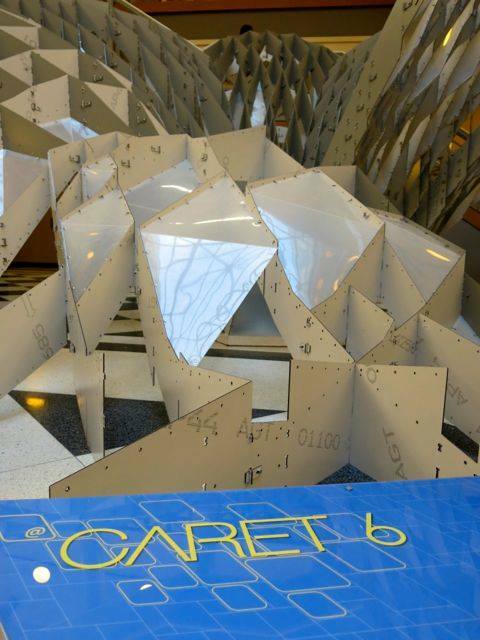 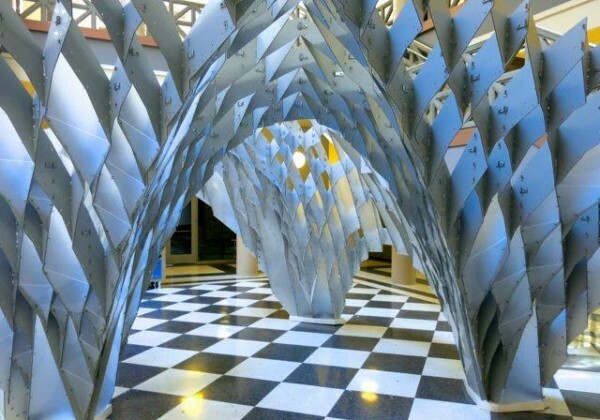 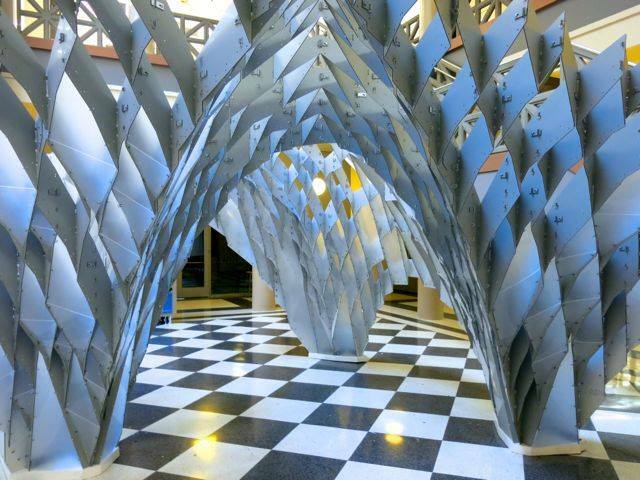 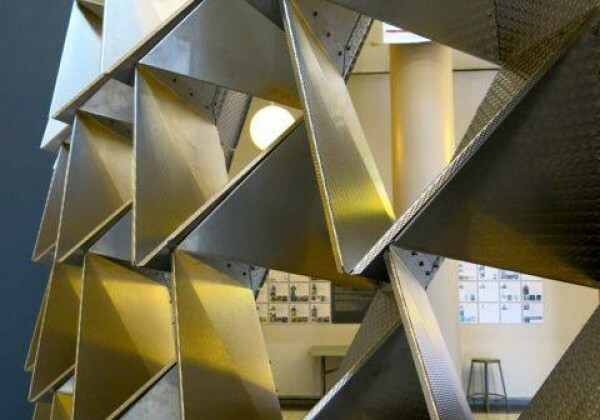 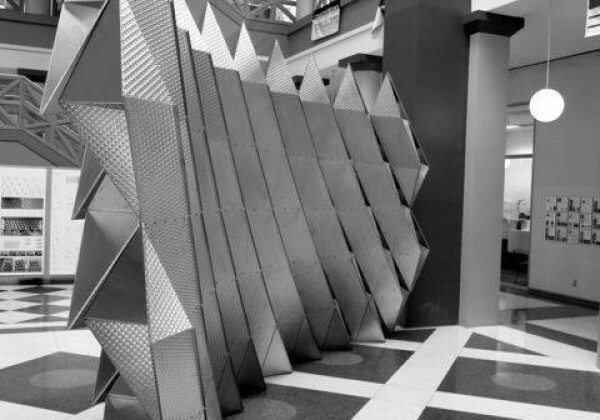 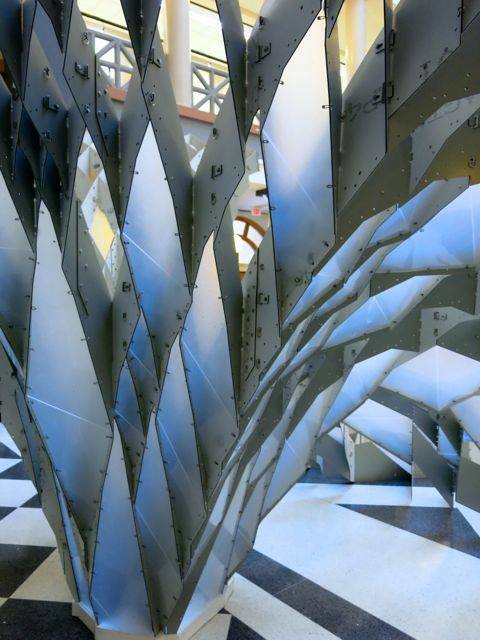 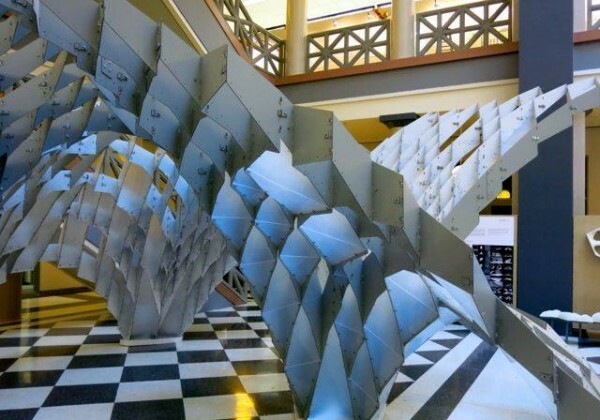 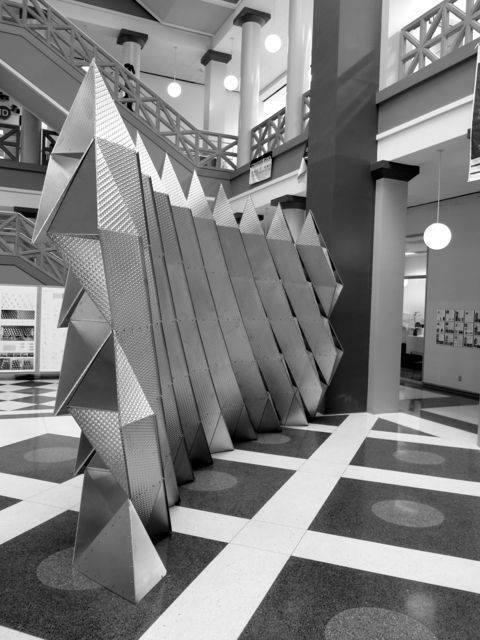 The winning team was supported by fabrication and material expertise from Zahner and Rigidized Metals and was first exhibited at ACADIA Situated Technologies Conference and TEX-FAB 5 Austin. 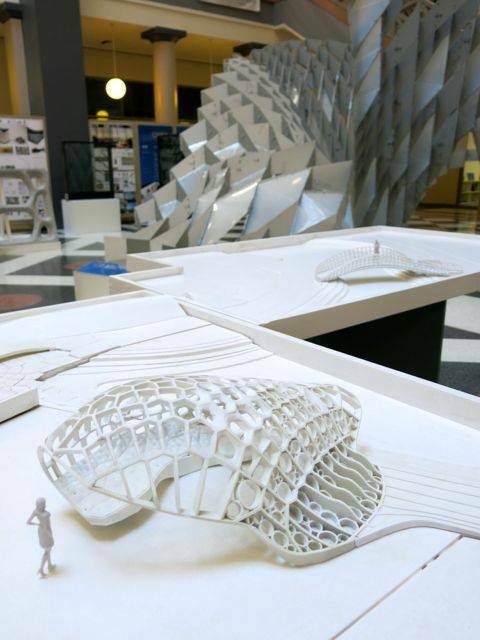 A total of 68 entries from across the globe representing 14 countries on 5 continents were narrowed down to 4 finalists and 4 honorable mentions. 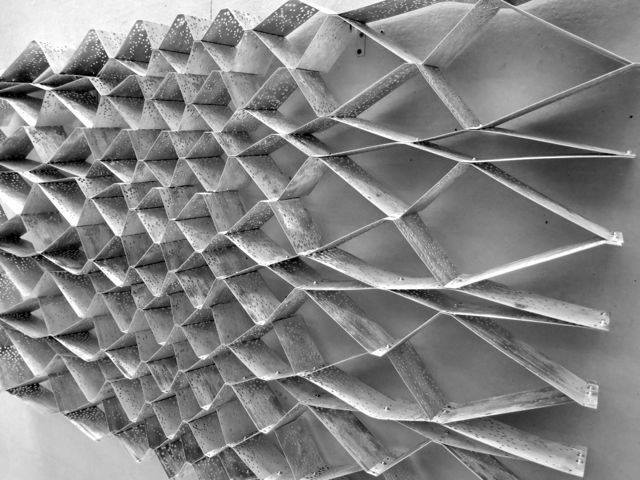 The building envelope represents the most complex and fundamentally linguistic element of architecture today. 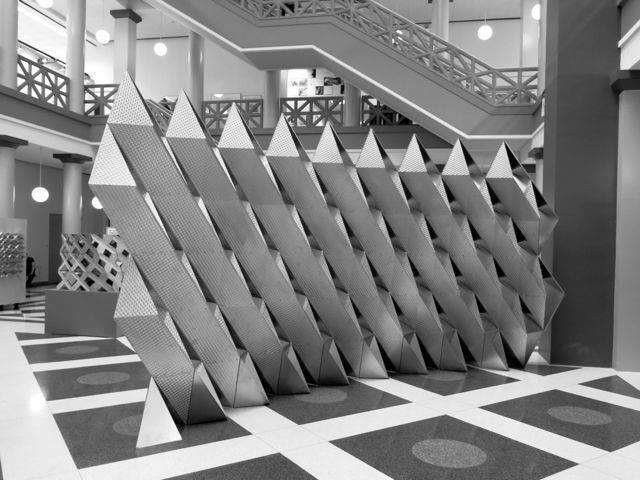 Its formal development and performative capacity – what may be called the activated envelope – is foundational to its purpose and presents a dialogue the building has with itself and that of its context. 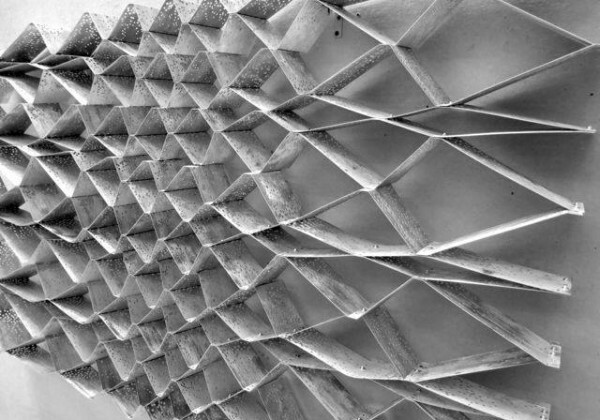 We can understand this relationship in many ways, but ultimately it is one that mimics our own skin. 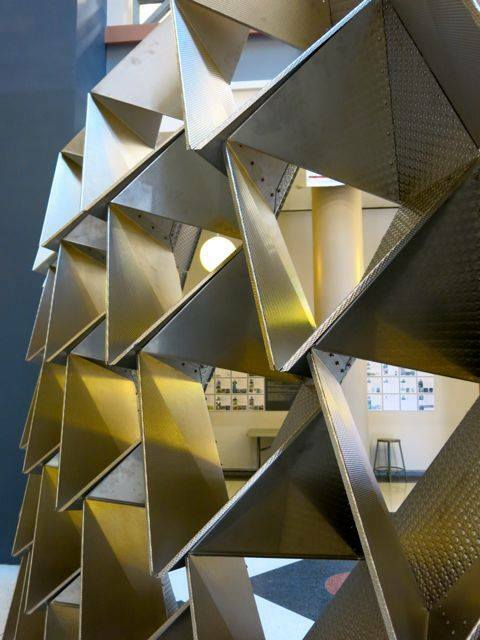 Fundamental to this is an explicit or implicit adaptability found in its performance – how it functions and meets the needs of the building. 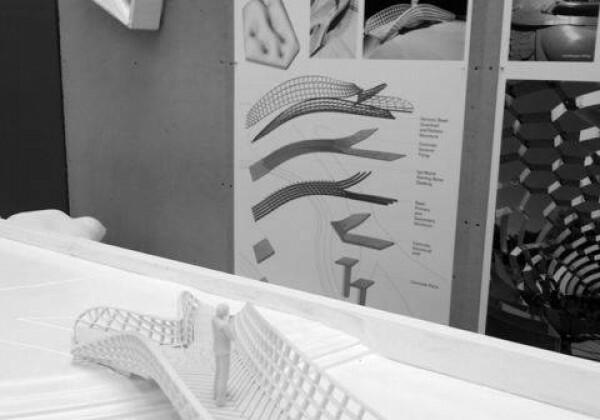 Its transformation from a static, heavy and obfuscating series of load bearing walls, to its current role of a communicative envelope, dynamical and exploratory, sets the stage for this competition and in what we believe is the most important area of research in architecture. 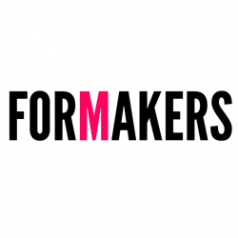 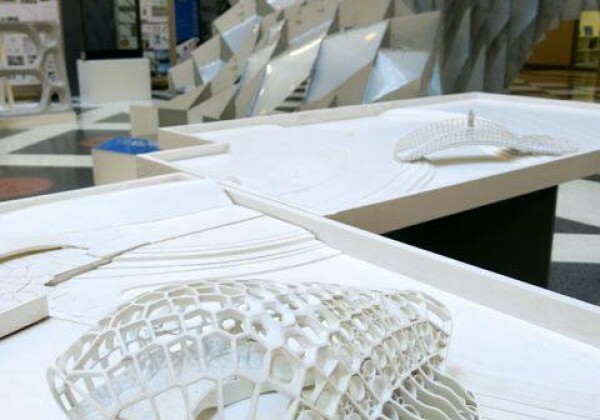 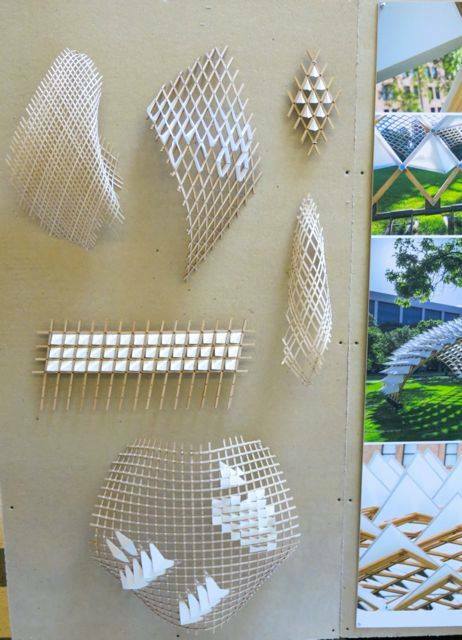 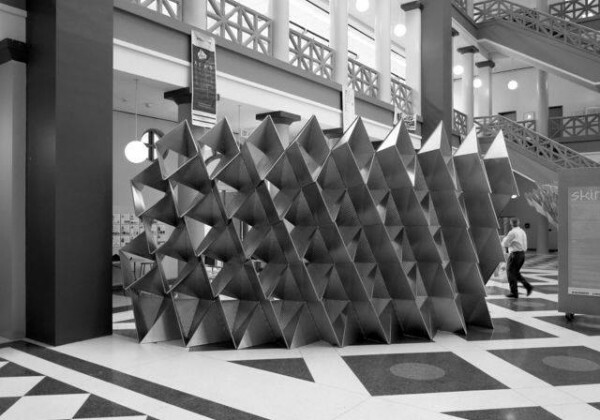 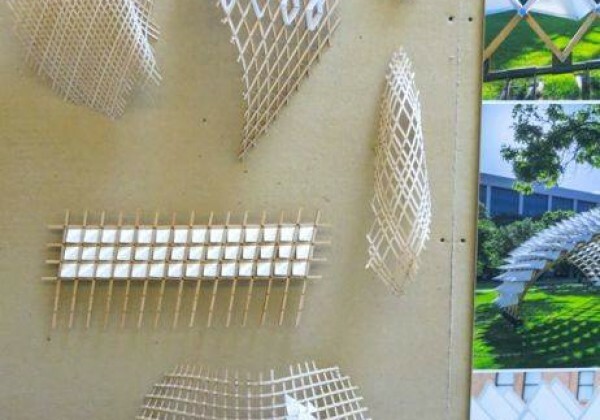 It is within this framework that the international digital fabrication competition SKIN asked designers and researchers to speculate, or if they so choose – to present existing research - on the role of the building envelope by exploring new methods to enable the performative and aesthetic qualities of a façade. 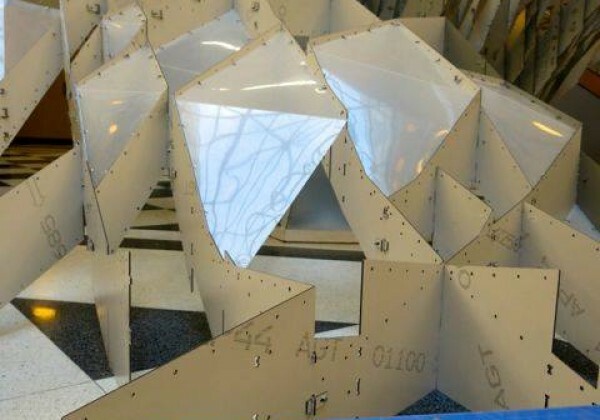 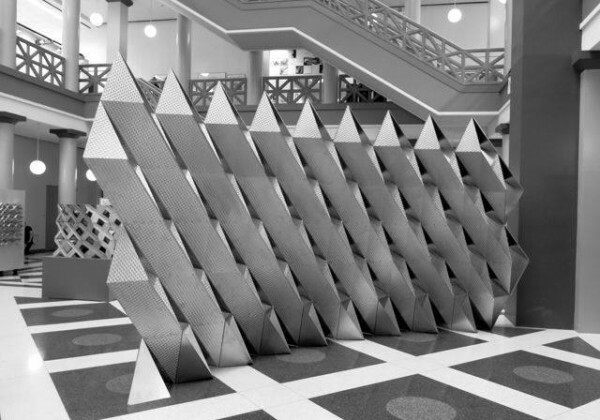 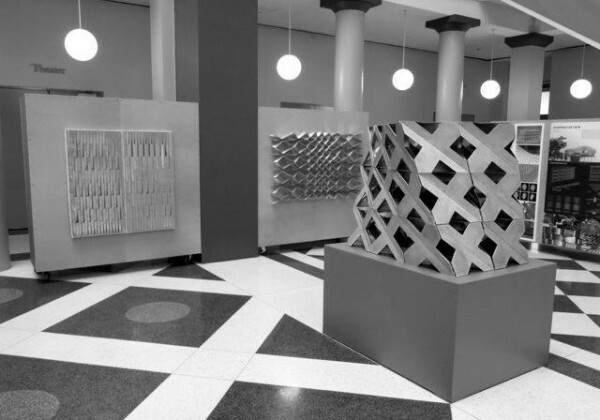 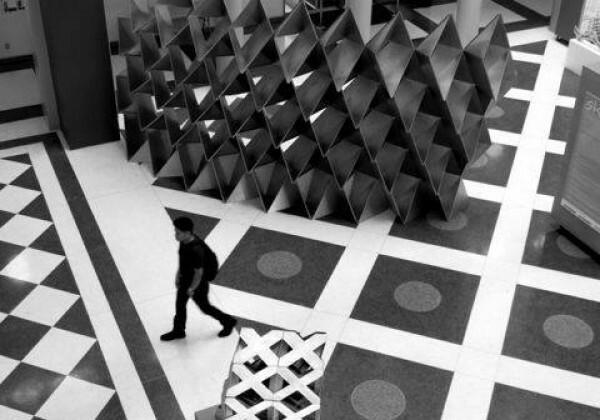 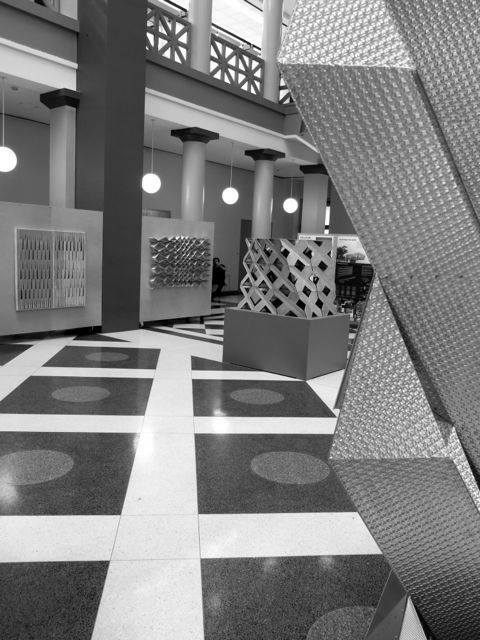 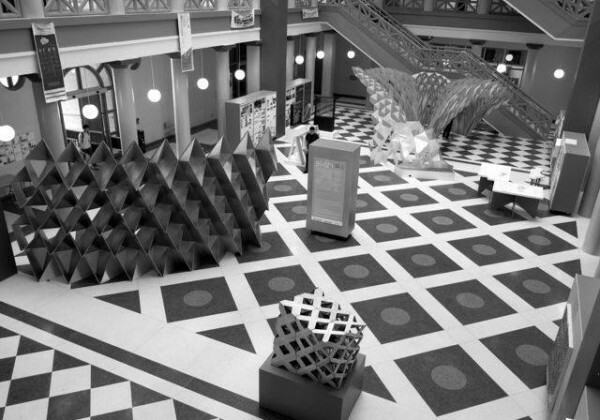 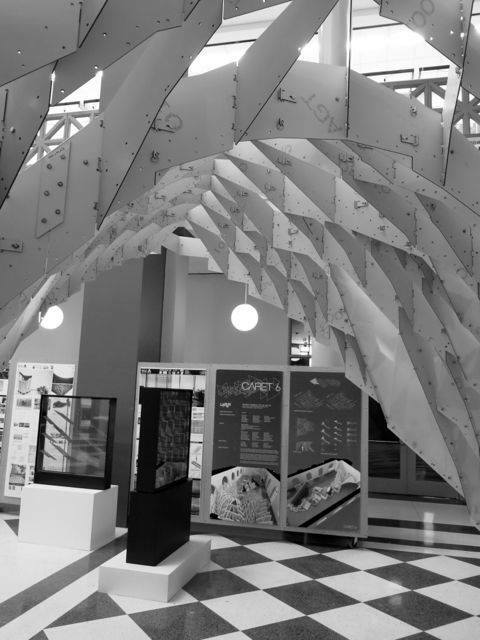 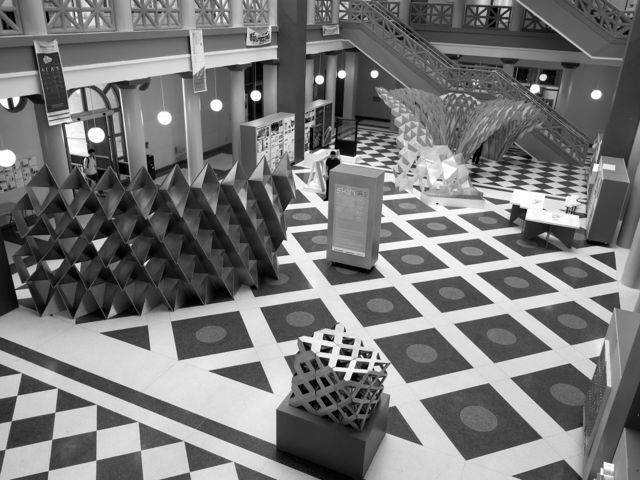 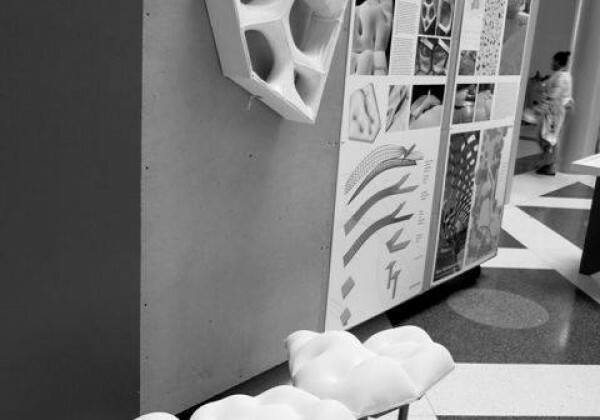 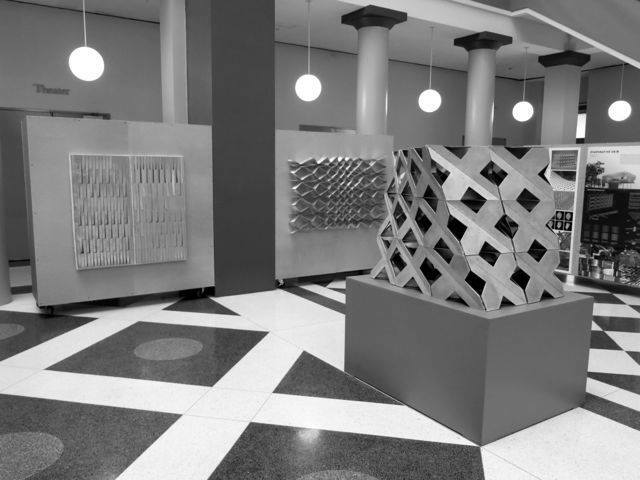 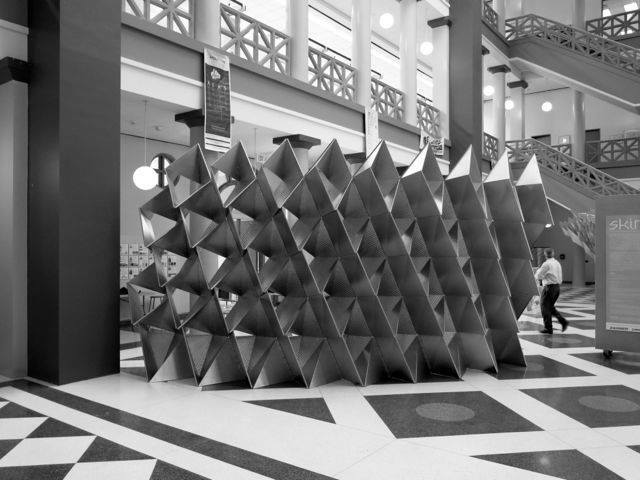 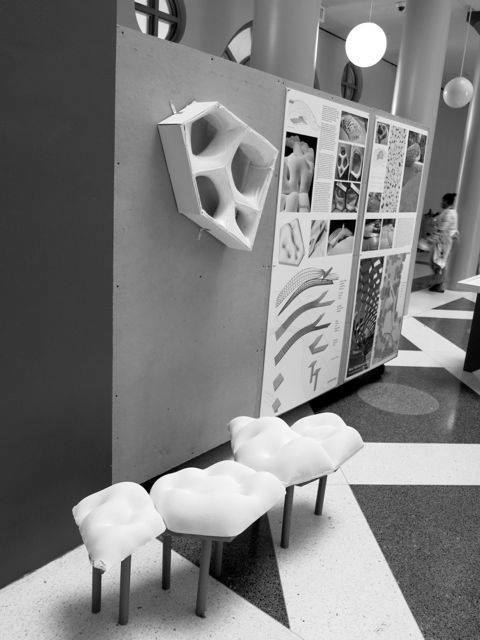 The other half of this exhibition demonstrates computational design and fabrication research taking place within and through schools of architecture across Texas. 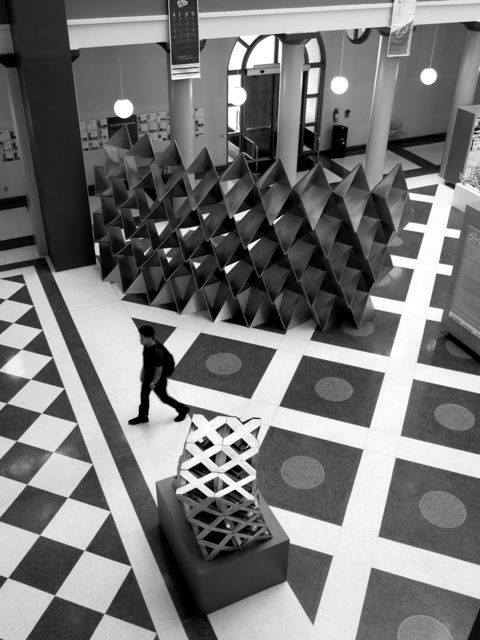 With work from UT-Arlington, UT-Austin, UT-San Antonio and University of Houston, a wide range or mediums, methodologies and outcomes are presented based on an equally diverse set of research agendas. 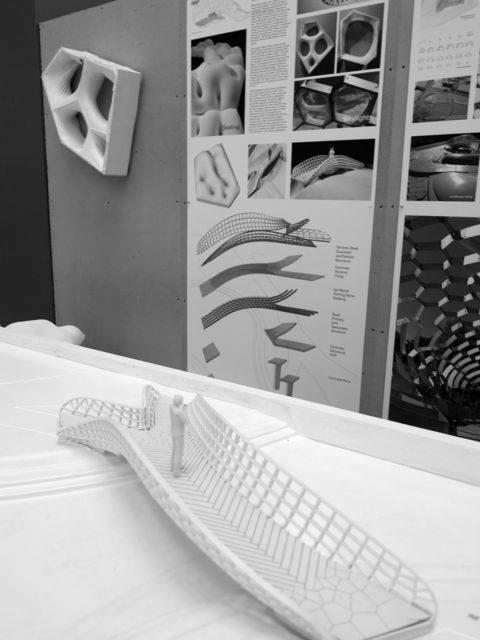 The work presented here is the outcome of both the TEX-FAB Directors active academic agendas of inquiry and expertise within material practice as well as the results of prototyping made possible by TEX-FAB for its most recent international competition. 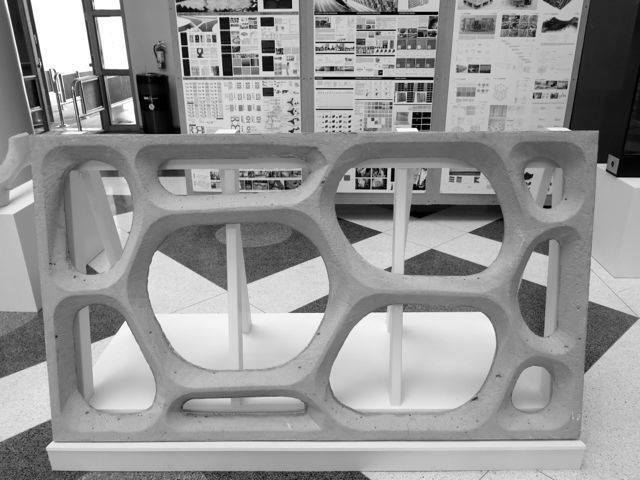 Utilizing precast concrete modular systems, aggregations of structural components creating innovative vaults and shells out of sheet metals and polymers as well as simple wood assemblies, the work is ambitious in its scope and complexity while precise and refined in its application. 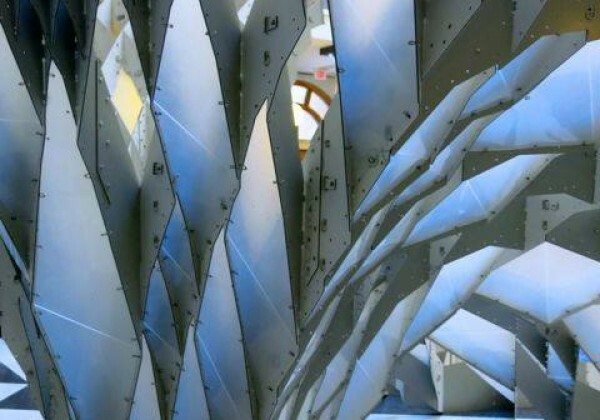 Within Texas there is a community organizing around the design strategies and fabrication tactics related to novel tectonics and formal systems made accessible by the use of parametric software tools. 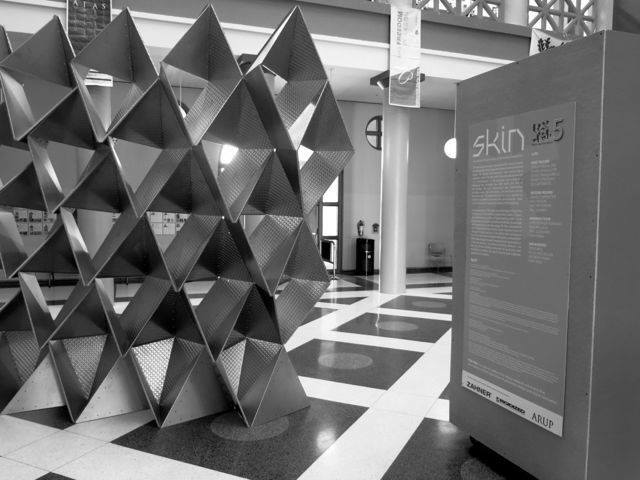 With exhibitions such as SKIN: Digital Assemblies, TEX-FAB provides a catalog of examples through its internal production at these affiliated universities. 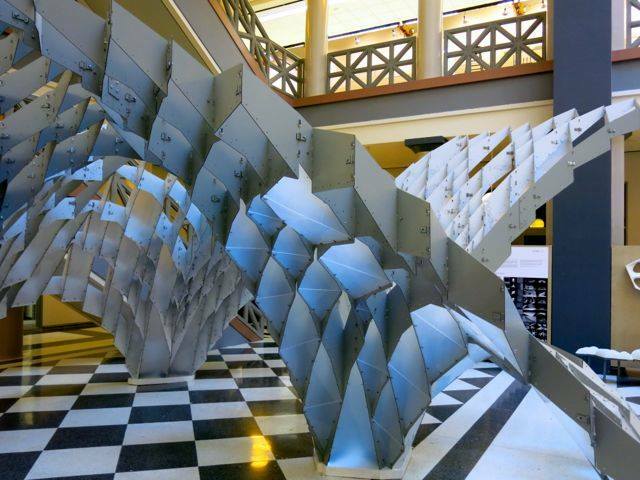 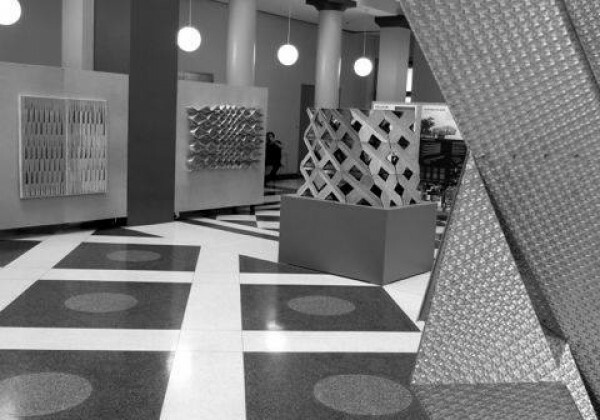 These academic research inquiries are enhanced by forming partnerships with fabrication and manufacturing industries available to designers in the major metropolitan centers of Houston, Dallas / Ft.
Worth, Austin, and San Antonio. 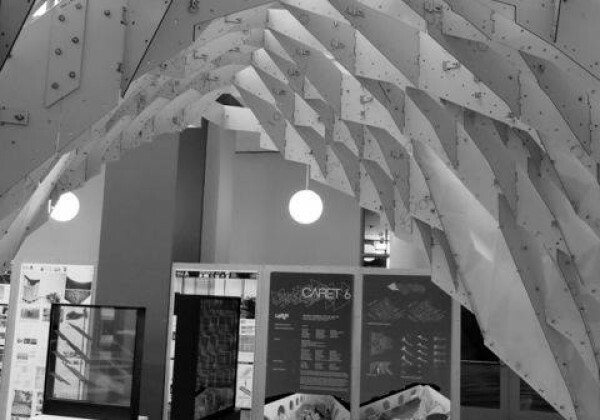 This networked practice creates a robust dialogue connecting the emerging local interest in this field of inquiry with professional practice as well as other academic institutions and researchers in the international design culture and audience.